This hole is a dog leg to the left which starts off relatively flat but then climbs to an elevated green. 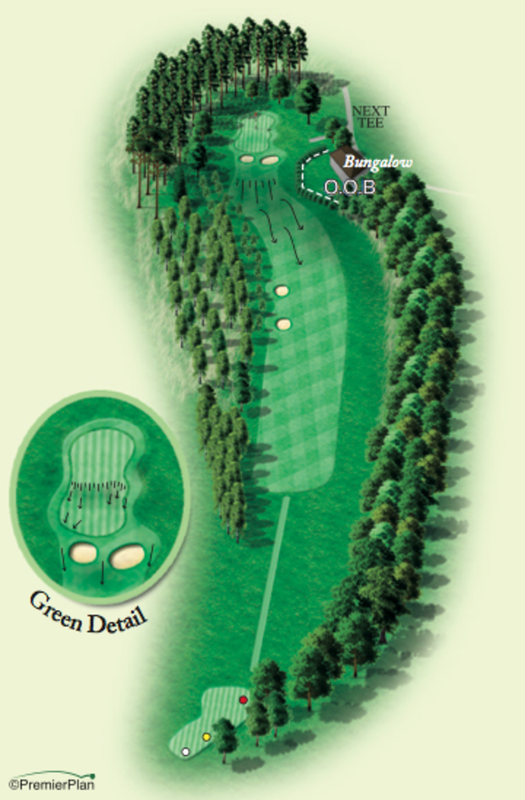 The fairway slopes right to left which means that the 2nd shot will be taken with the ball above your feet. Two fairway bunkers are there to catch a good drive off the tee. The hole is named after a holiday bungalow situated by the right of the green – any shot within the garden of the bungalow is out of bounds. 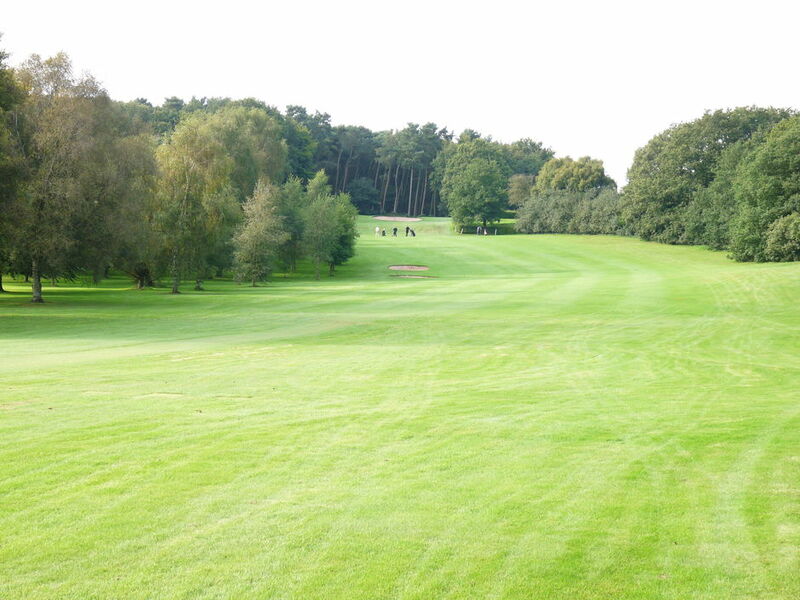 Two bunkers are positioned in front of the green which means that plenty of club is necessary to reach this two tiered green which is semi surrounded by trees.